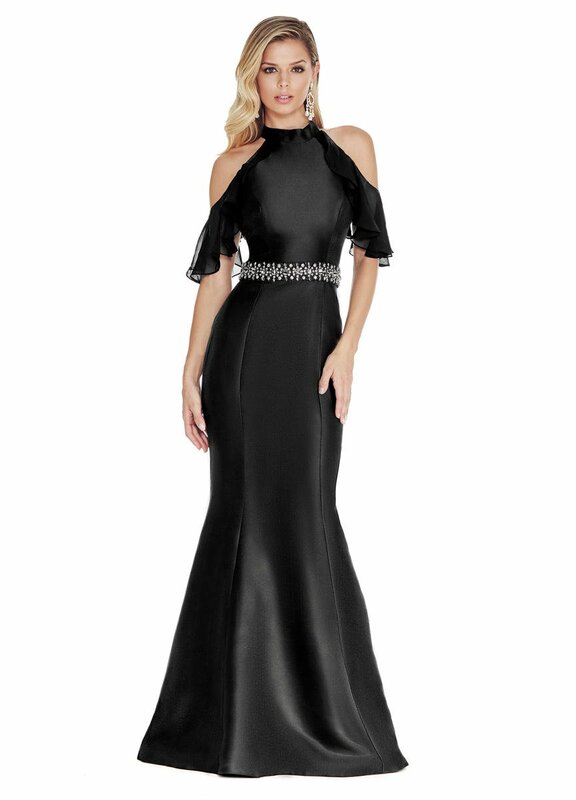 Show off your feminine side in this flutter off the shoulder evening dress. The halter bustier is super chic and pairs perfectly with the mermaid silhouette. The tonal rhinestone beaded belt accentuates the waist.